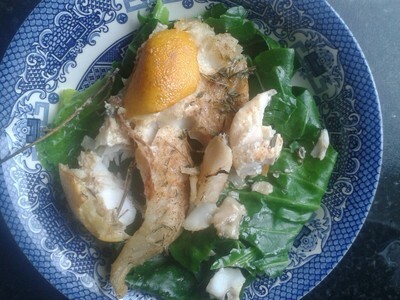 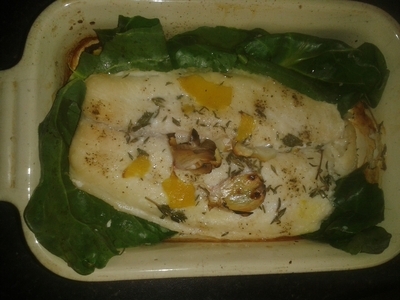 Mediterranean fish is some of the best I've tried, but it is oh so easy to recreate dishes you've tried on holiday. 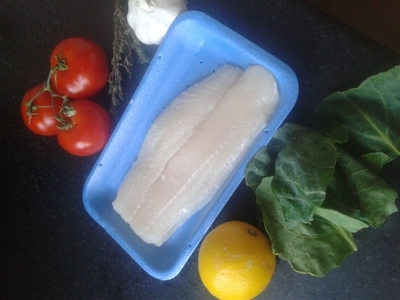 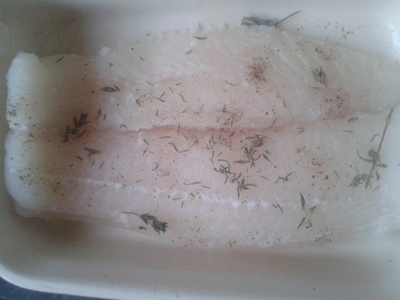 Season the fillets with the herbs. 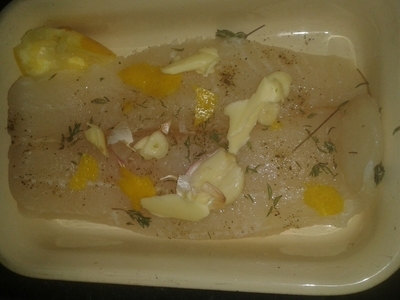 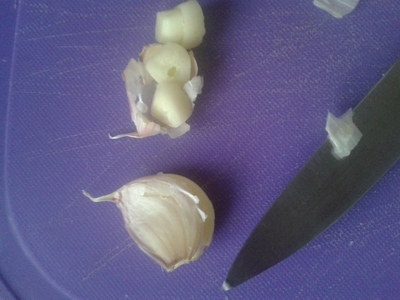 Add the garlic, lemon and butter and place in the oven for 20 minutes at 180 degrees/gas mark 7. 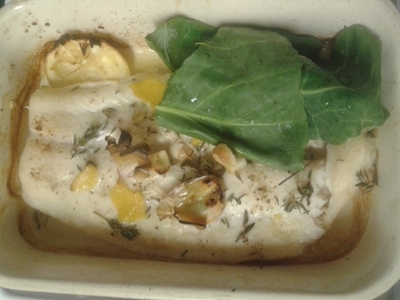 Remove from the oven and add the spring greens. 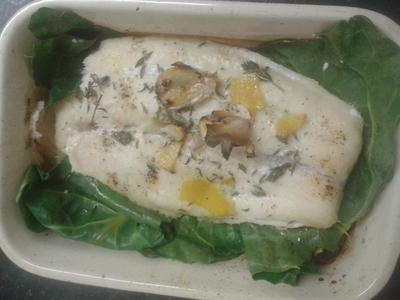 Tuck the greens underneath the fish and place back in the oven for 6 minutes. 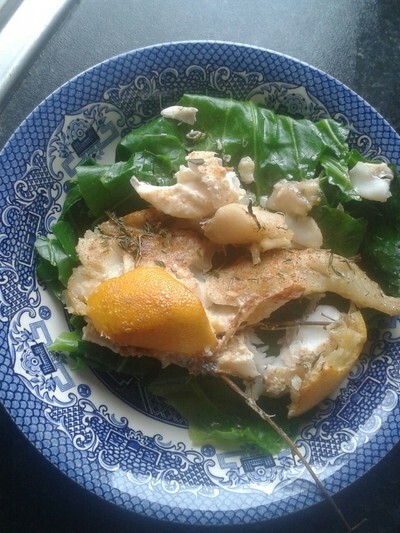 Serve in bowls, as you would in the Med'.